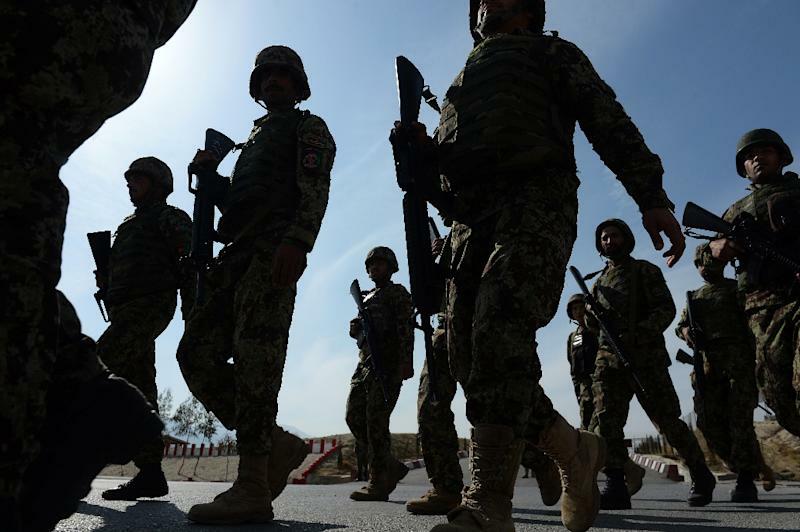 Afghanistan on Tuesday vowed action against Taliban-allied Uzbek insurgents after they posted a video purportedly showing the beheading of a former Afghan soldier, highlighting their apparent tilt towards the Islamic State group. A local commander of the Islamic Movement of Uzbekistan (IMU), which has so far held a low profile in Afghanistan, was recently reported to have pledged support to the Islamic State jihadists. The Taliban have seen defections to IS in recent months, with some insurgents voicing their disaffection with their one-eyed supreme leader Mullah Omar who has not been seen since the 2001 US-led invasion of Afghanistan. IMU's footage, circulating on social media, bore the hallmarks of IS execution videos that have brought global notoriety to the group that captured swathes of territory straddling Iraq and Syria. It shows a kneeling man who identified himself as an Afghan soldier and two masked men -- one of them brandishing a knife. Just before the killing the gunmen warned that the ethnic Hazaras they were holding would meet the same fate if the government did not agree to their demands, which were not specified in the video. The footage could not be independently verified by AFP and it was not clear whether the gunmen were referring to the high-profile abduction of 31 Hazara minorities in February in southern Afghanistan. The kidnappings triggered speculation that the men had been seized by Afghan insurgents who have pledged allegiance to IS. "The (National Directorate of Security) has started its investigation into this inhuman and un-Islamic action and will find the perpetrators and bring them to justice," the Afghan intelligence agency said on Twitter, referring to the execution. "This video is not linked to the kidnapping of 31 of our countrymen," it said, adding that the victim was a former soldier. The video marks something of a departure for IMU, said Borhan Osman, a researcher with the Afghanistan Analysts Network in Kabul. "It used to operate in coordination with and under the eyes of the Taliban," Osman told AFP. "Now IMU leaders appear to be tilting heavily towards the Islamic State and have started openly expressing doubts about the status of Mullah Omar's life and active leadership." "Copying IS and even ultimately allying with it is a likely future trajectory for IMU in the region," Osman said. The Afghan government has raised the ominous prospect of the IS making inroads into the country, though the group has never formally acknowledged having a presence in Afghanistan.